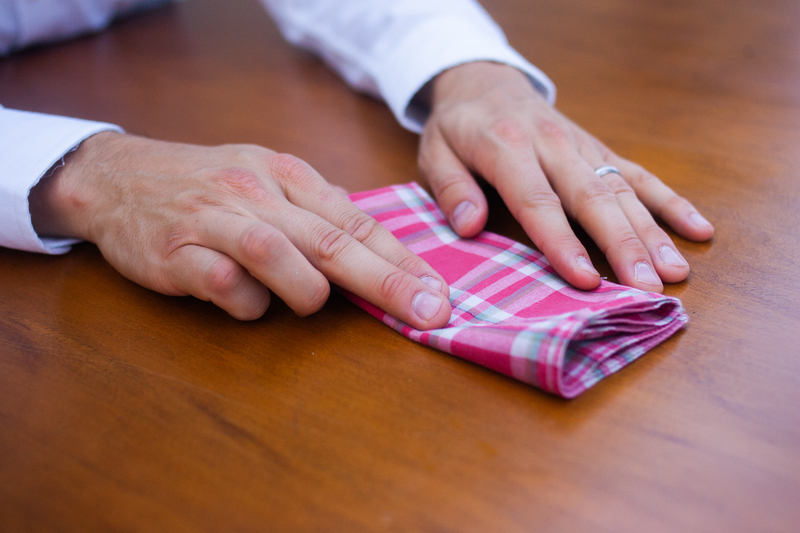 Before we get into how to fold a pocket square, let's go over a few tips to help you pick your a pocket square and wear it well. 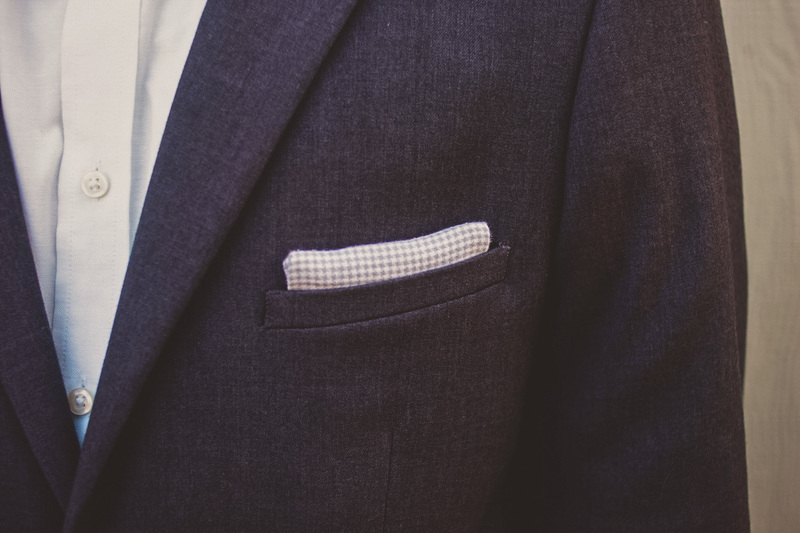 There's no such thing as The International Association of Dapper Fellows Pocketbook of Pocket Square Standards, so pocket squares come in a variety of sizes. 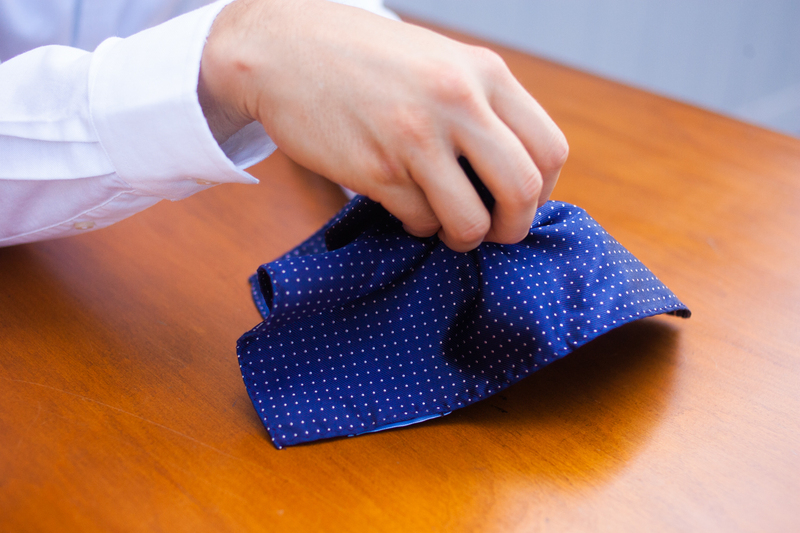 Don't sweat it too much—any standard sized handkerchief will work fine. You'll know when your material is too large when it feels like you've stuffed a tarp in your coat's breast pocket. Standard materials are linen, cotton, and silk. This is where personal preference begins to kick in. 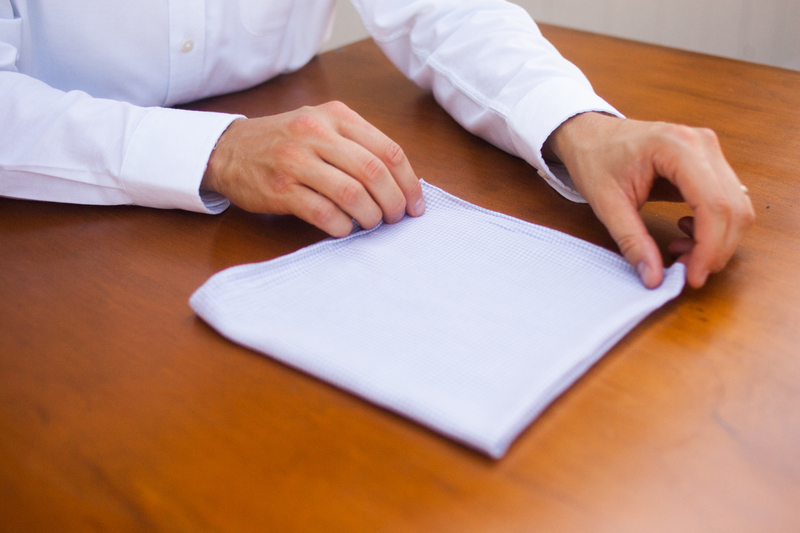 You can get nice, crisp fold lines with the stiffer fabrics of linen and cotton, especially when you choose a square with a contrasting embroidered edge. Silk, on the other hand, wants to flow and its sheen catches light, which gives a touch of elegance. 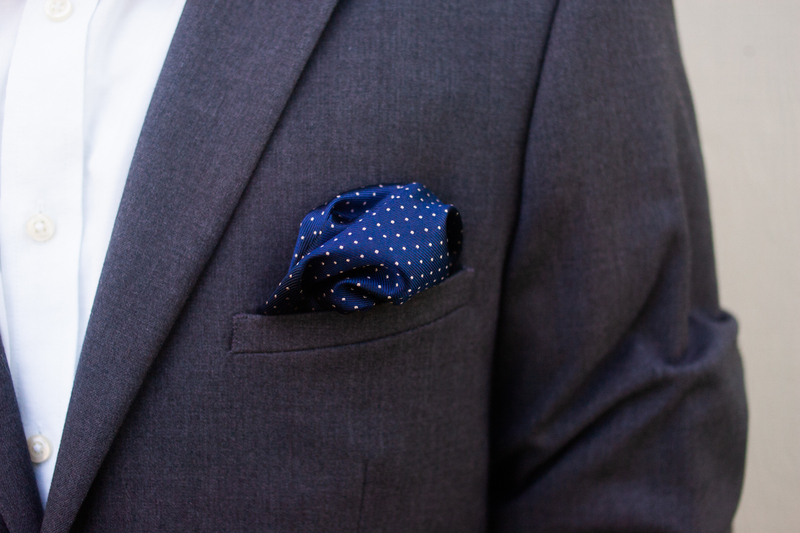 This aspect of pocket squares is 100% subjective. (Again, the I.A.D.F.P. isn't a real governing body.) If you're totally unsure of what to do, white is never a bad choice, and if you're wearing a tuxedo, it's the only choice. 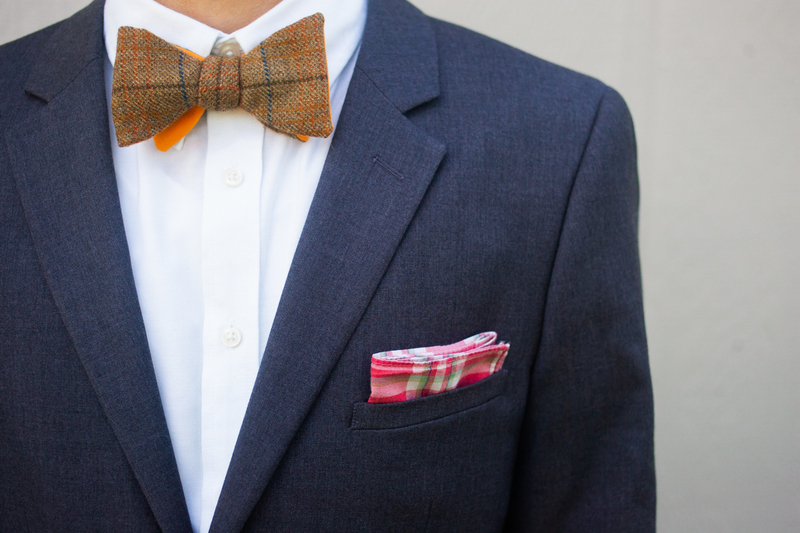 Solids are good; try navy, red, or tan. 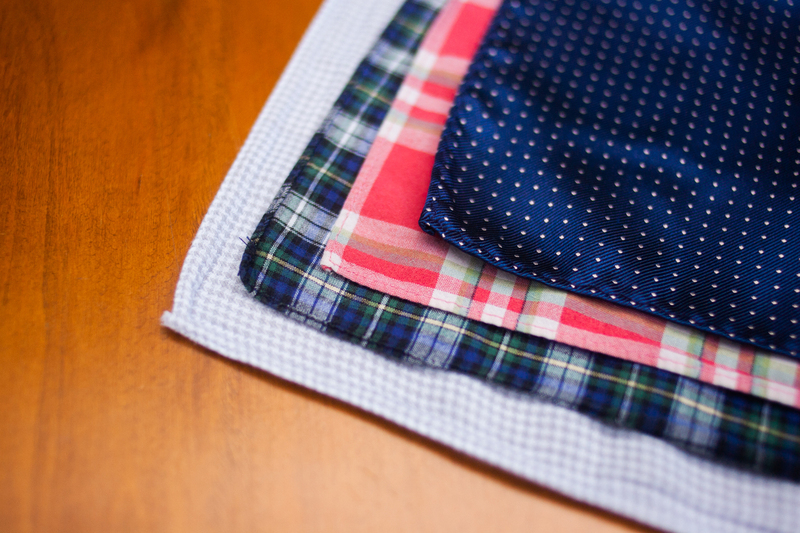 Standard textile patterns are nice: polka dots, tartan, gingham, hound's tooth. Or you could just go for broke and get one with prints of famous paintings. 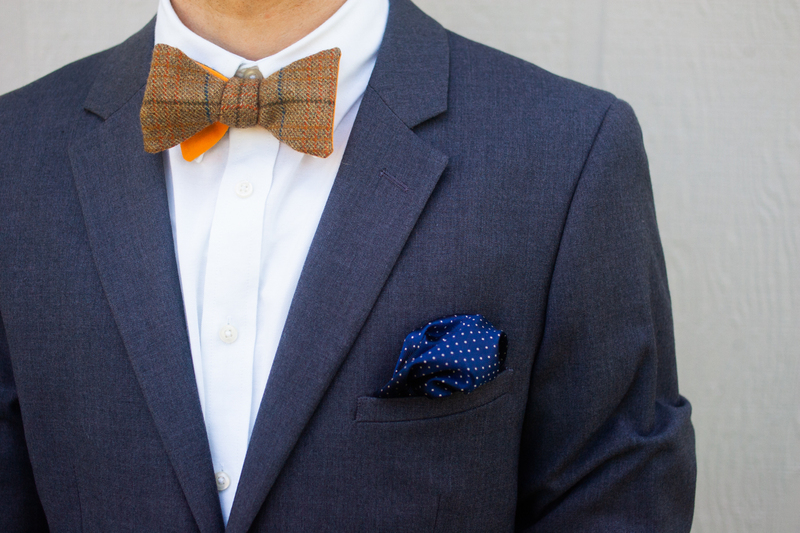 One word of caution: don't perfectly match your tie and pocket square. It's cheesy and screams "rental," which is the last thing you want if you're trying to broadcast purposefulness. 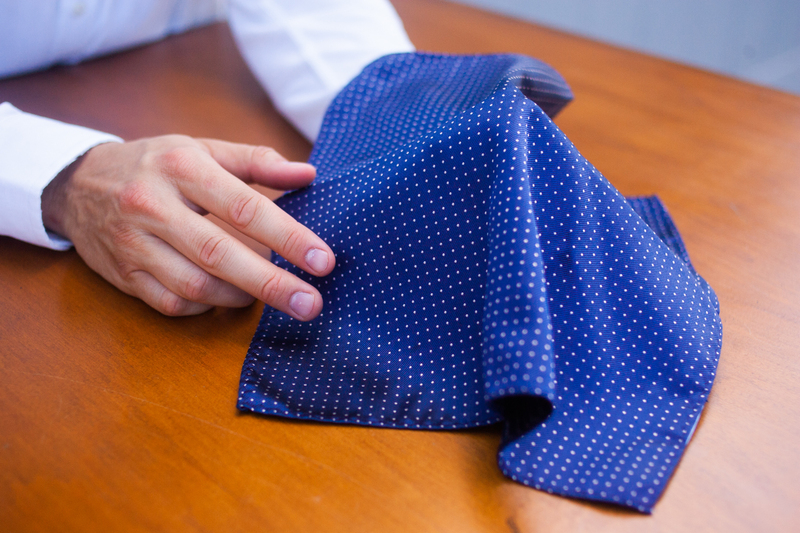 If you'd like to coordinate, pick a main color for your pocket square that repeats as a minor color in your tie. • Don't sweat perfection. 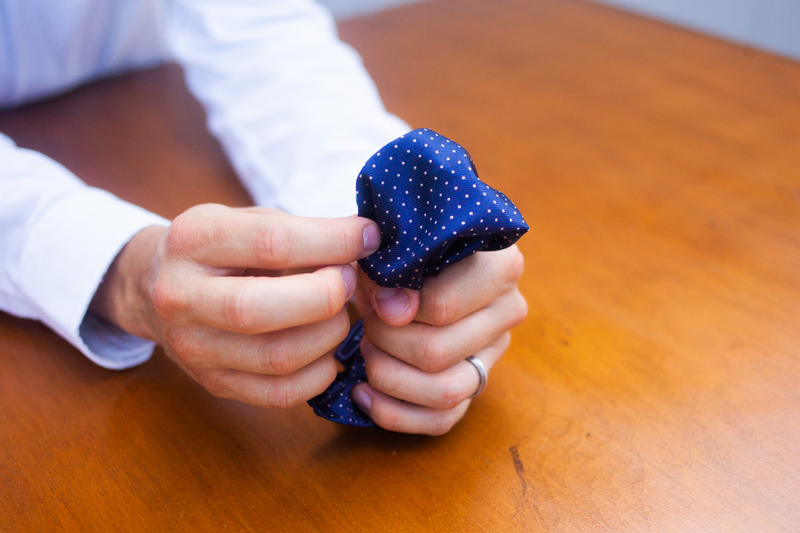 Like bow ties, they actually need to be slightly askew or they won't look like someone actually folded them by hand. 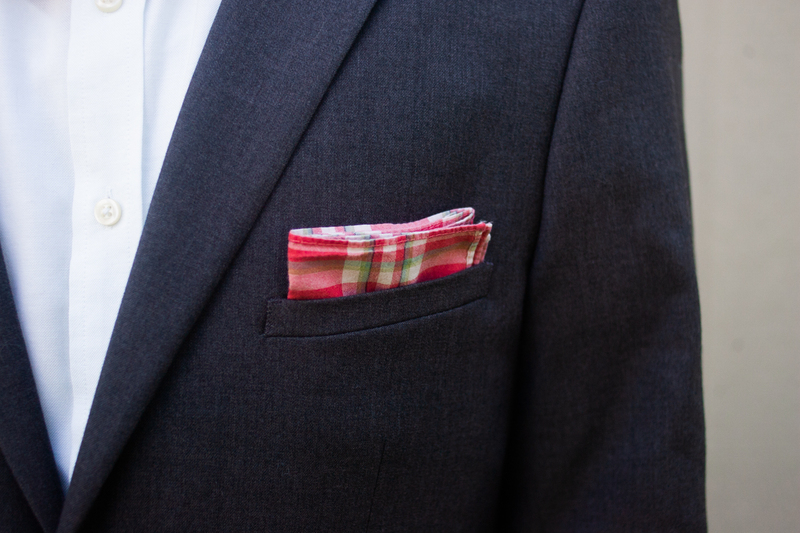 • Don't be afraid to show several inches of your pocket square. 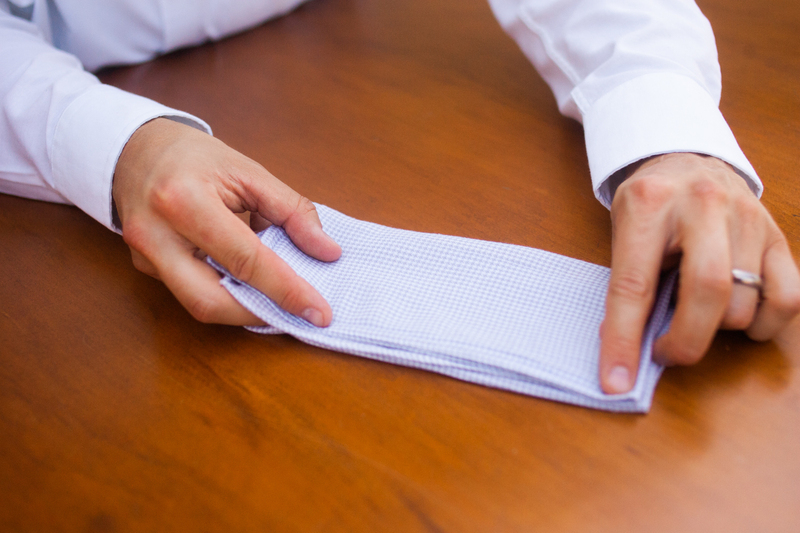 If you're new to the world of filling your coat's breast pocket, it'll probably feel weird at first. 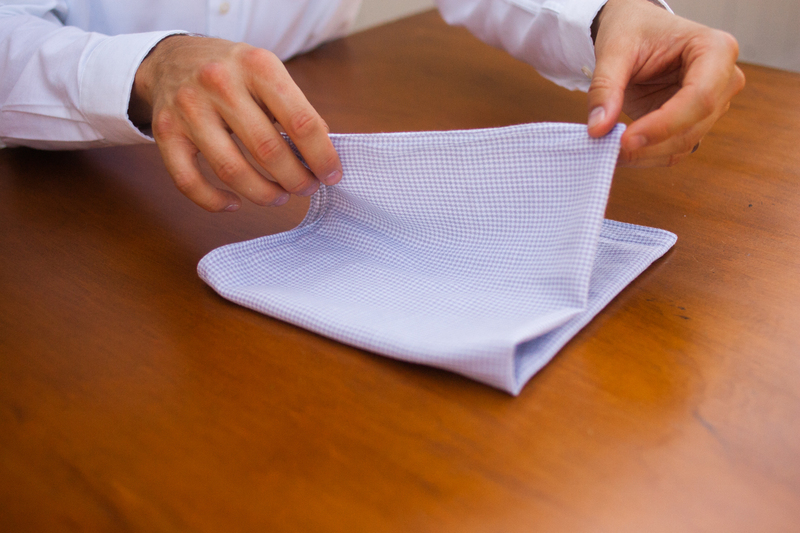 • Your pocket square should be long enough to reach the bottom of the pocket. The last thing you need to focus on when you're out enjoying yourself is to constantly look down to adjust it. • If you're an allergy sufferer, resist the urge to sneeze into it. 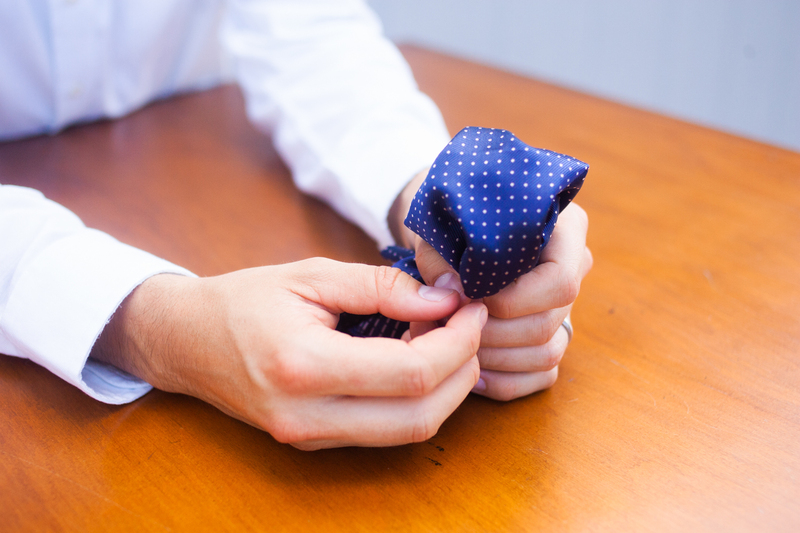 Remember: one for show, one for blow—carry a separate handkerchief. 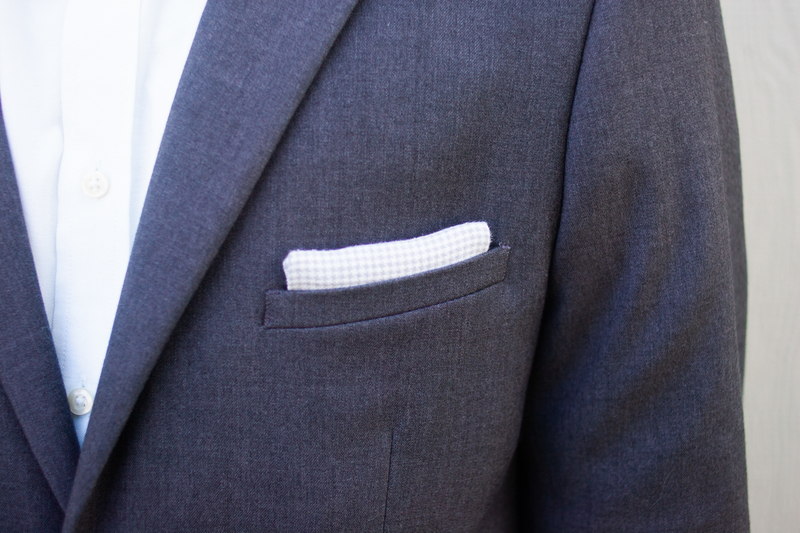 There are hundreds of variations on the pocket square, but if you're just getting started, there's no need to get fancy quite yet. Check out these three classics—they each take less than thirty seconds and work in both formal and casual occasions. 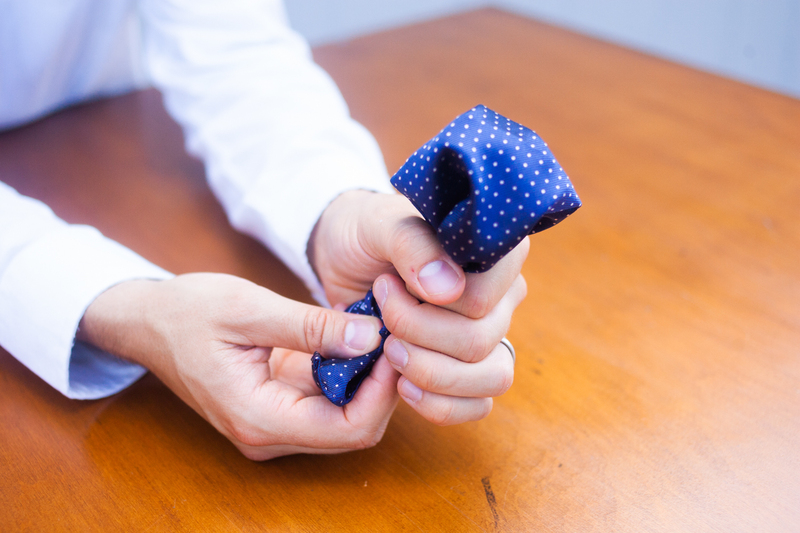 As the name suggests, the classic fold is simple, not too flashy, understated, and timeless. 2. Fold in half again, crosswise. 3. 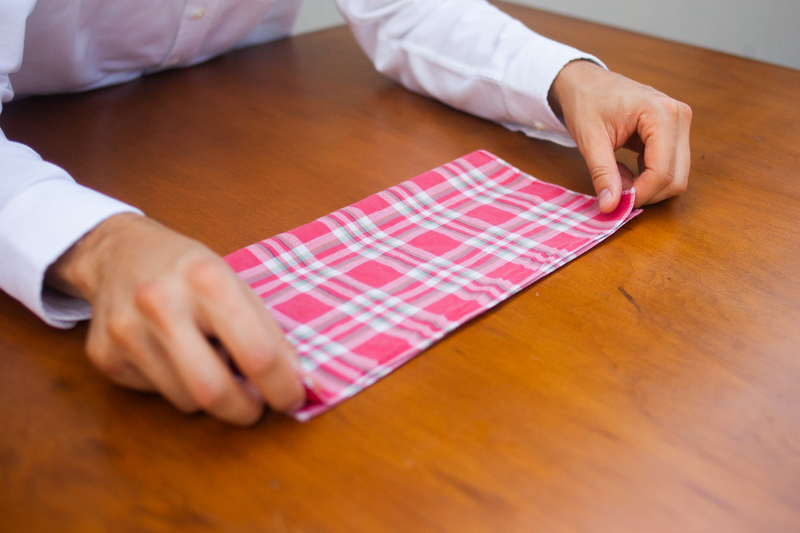 Fold once more, parallel to your second fold. 4. Place in pocket with edges showing. 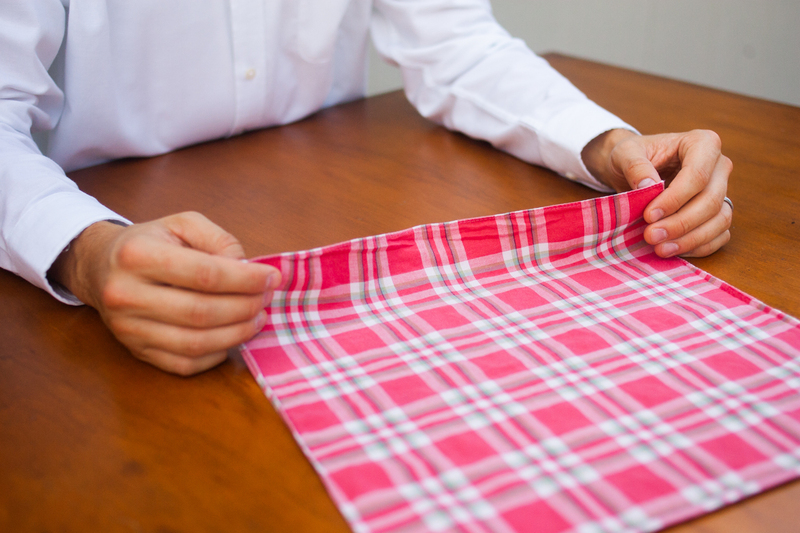 This is a variation on the classic fold, with no seams showing for an even cleaner look. This one generally gets tucked down further into your pocket to create a thin band of color. 3. Fold in half, parallel to the second fold. 4. Fold in half once more, crosswise just below the midpoint. 5. 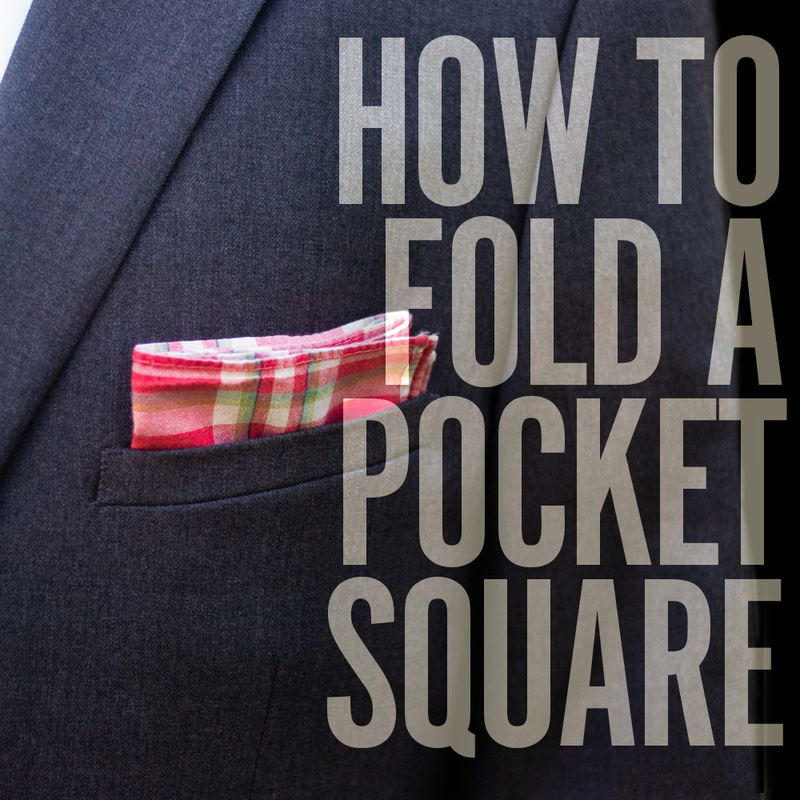 Tuck the pocket square into your pocket with the fold pointing up. 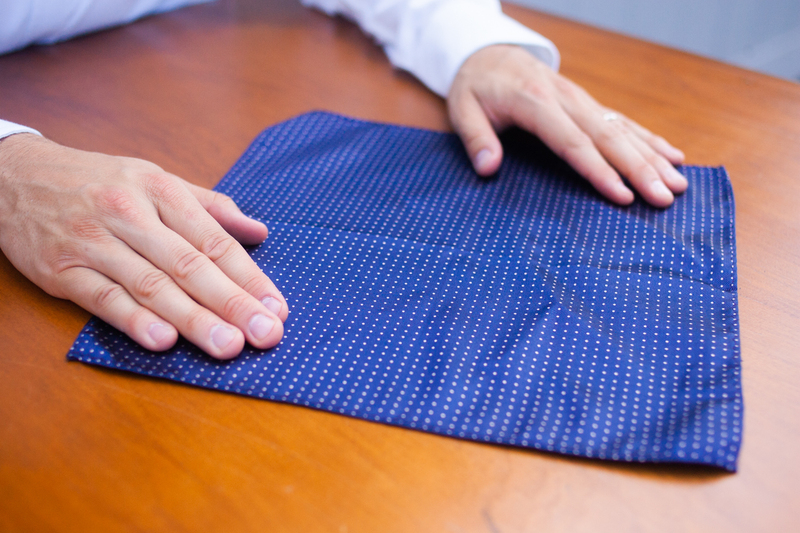 This is a very traditional pocket square folding method, best performed with a larger silk pocket square. 1. Lay the square flat. 2. Point the fingers of one hand upward in the center of the square to create a puff. 3. Grasp the puff you created with your other hand, dropping your pointed fingers out. 4. Holding the puff with one hand, twist the bottom edges of the square tightly. 5. Place the edges down into your pocket. Adjust the puff to your liking. 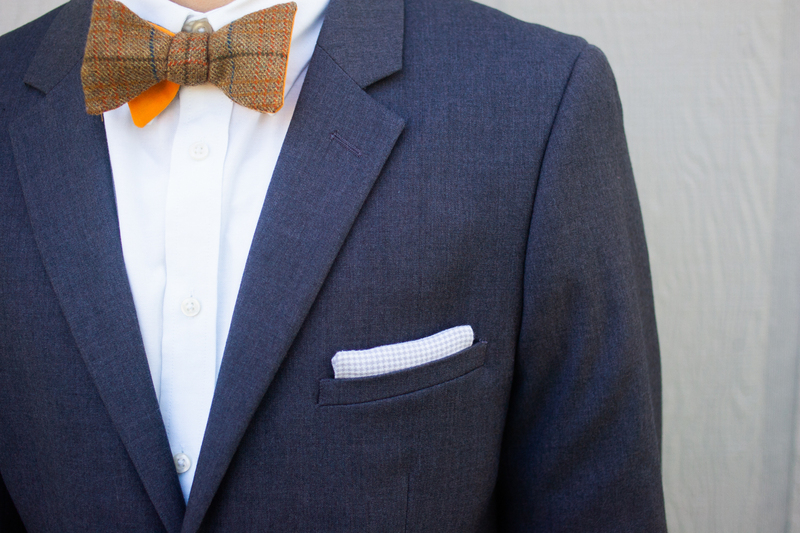 With over 800 individual pocket squares at great prices, The Tie Bar is the best resource, hands down. No more excuses. Good article. I am in my late 50's and actually just started wearing a pocket square with sport coats and suit jackets. Really does add a nice touch.